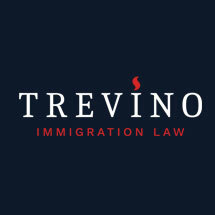 The San Antonio law office of Trevino Immigration Law was established to help the individuals, families and employers who were struggling to navigate the complex and ever-changing U.S. immigrations process. The events of September 11, 2001, resulted in the creation of the Department of Homeland Security, and strict, new immigration policies that were designed to make us safer, but also made the immigration process more complicated. "My clients feel confident knowing that I can obtain the best possible outcome for their immigration issues in the most cost-efficient manner possible." My immigration lawyer customize affordable legal strategies to efficiently and effectively resolve immigration issues for individuals, investors, employers and employees, refugees, religious workers and students. I specialize in cases involving adjustment of status and fiancée visas. In addition to attending immigration proceedings, I will regularly update you regarding the status, and you will be able to contact me to get prompt answers to any questions you may have. Contact me to schedule a free and private meeting with one of our San Antonio, Texas, immigration attorneys, so you can discuss your circumstances and understand your legal rights and your options. You are under no obligation to retain my services. My law office is conveniently located near North Star Mall.